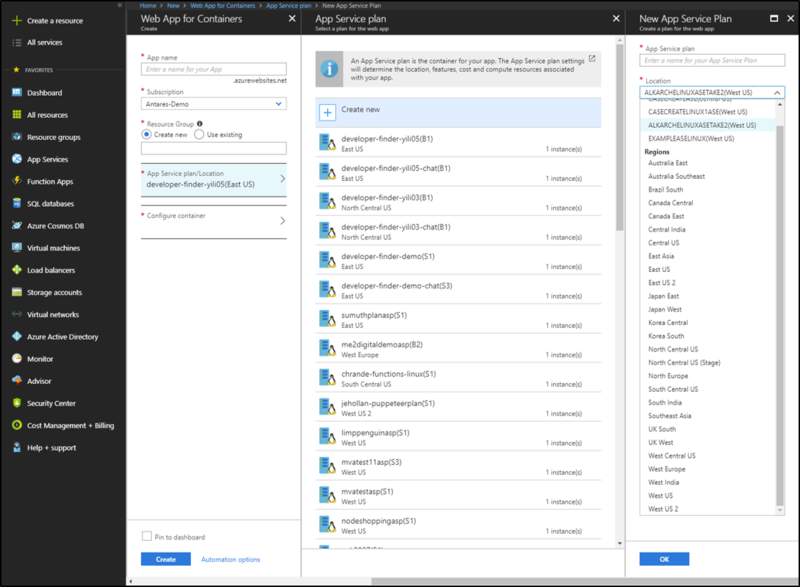 Interested in deploying your Linux or containerized web app in an Azure Virtual Network? The Azure App Service team is excited to announce the general availability of Linux on Azure App Service Environment (ASE), which combines the features from App Service on Linux and App Service Environment. As announced at the time of the public preview release, Linux customers will be able to take advantage of deploying Linux and containerized apps in an App Service Environment, which is ideal for deploying applications into a VNet for secure network access or apps running at a high scale. What can I do with Linux on ASE? With Linux on ASE, you can deploy your Linux web applications into an Azure virtual network (VNet) by bringing your own custom container, or just bring your code by using one of our built-in images. If you want to bring your own custom Docker container, you can bring your image from DockerHub, Azure Container Registry, or your own private registry. If you want to use one of our built-in images, we support many popular stacks, such as Node, PHP, Java, .NET Core, and more to come. Windows, Linux, and containerized web applications can be deployed into the same ASE, sharing the same VNet. Remember that even though Windows and Linux web apps can be in the same App Service Environment, Windows and Linux web apps must be in separate App Service plans. With Linux on ASE, you will be using the Isolated SKU with Dv2 VMs and additional scaling capabilities (up to 100 total App Service plan instances, between Windows and Linux, in one ASE). An external ASE with an Internet accessible endpoint. An internal ASE with a private IP address in the VNet with an internal load balancer (ILB). Our documentation page provide steps to get started, and more context about how to configure networking for your ASE. Linux and containerized apps deployed in an App Service Environment are returning to regular App Service on Linux and App Service Environment pricing. The 50 percent discount on the Linux App Service Plan from the public preview is being removed for general availability and is no longer being offered. You can create a Linux Web App into a new ASE by simply creating a new Web App and selecting Linux as the OS (built-in image), selecting Docker (custom container), or creating a new Web App for Containers (custom container). If you need more detailed instructions, get started with creating your first Linux/containerized Web App into an ASE by following these instructions. We’d love to hear what you think! Please leave your feedback on Linux on ASE using the Wed Apps forum. Check out this blog post for answers to commonly asked questions about Linux on App Service Environment general availability!